Im not affiliated with Rank Cintel in any way- other than owning one of their machines and parts pieces and doing my best to restore it back to good working condition. The Rank Cintel ADS2 is estimated to have been manufactured somewhere in the year 1987 to 1992. I am at least the third owner of this particular unit. I have spent alot of money and time pyrchasing the machine, transporting the machine, buying parts and pieces and books to complete it (was missing many parts as purchased). I dont know how many units are still in existence of the estimated 15 total units produced in the ADS or ADS2 series. The first units of the ADS (I call it the ADS1) were made approximately 1982. The seller of some of my parts REFUSED to transport the heavy steel chasis and unfortunately wasted those parts. IM STILL VERY UPSET ABOUT THAT. Some people do not appreciate what they have!!!!!!!!!!!!!!!!!!!!!! The saying - "One mans junk is another mans treasure" - applies here. It is amazing how much space is taken up with piles of boxes of all of the misc parts and pieces to make a unit- it takes up a substantially GREATER amount of space all disassembled. That was not my choice and I asked over an over to please not dissasseble- an that I would gladly buy the whole unit. But NO. So I had no choice - the parts and pieces were the ONLY way for me to acquire his machine. 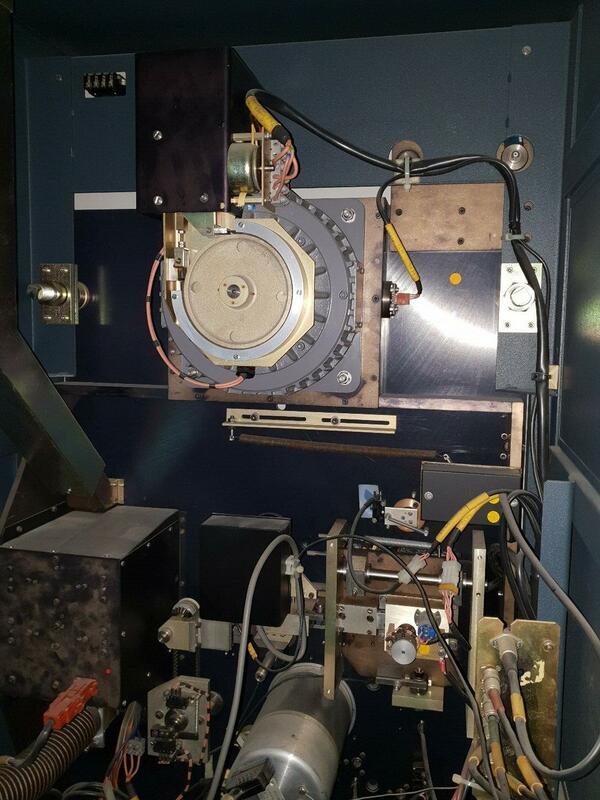 Sad tragic end to a wonderful machine - and that same seller did that to several machines. On the one hand Im lucky to have purchased spare parts. At the time I purchased everything (over the course of 4 years) the seller was having more and more issues with his machine and was running out of good parts/boards to swap-in and he had already estroyed 2 machines to make a third good one. But alas that third good one was having red-flaring-fringe and he decided to scrap the whole thing. I purchased it all just before that happened. My limited funds )mostly Paypal Credit) were really pushed to the limits in this purchase over 4 years and I struggled to come up with funds/paying off those high interest debt - otherwise it would all be in the landfill. ISNT THAT IRONIC paying big bucks otherwise it would be garbage. That is unfortunately the thinking process of the parts-dealers-scrappers-etc. They would much rather not sell to you at all than sell it cheap. 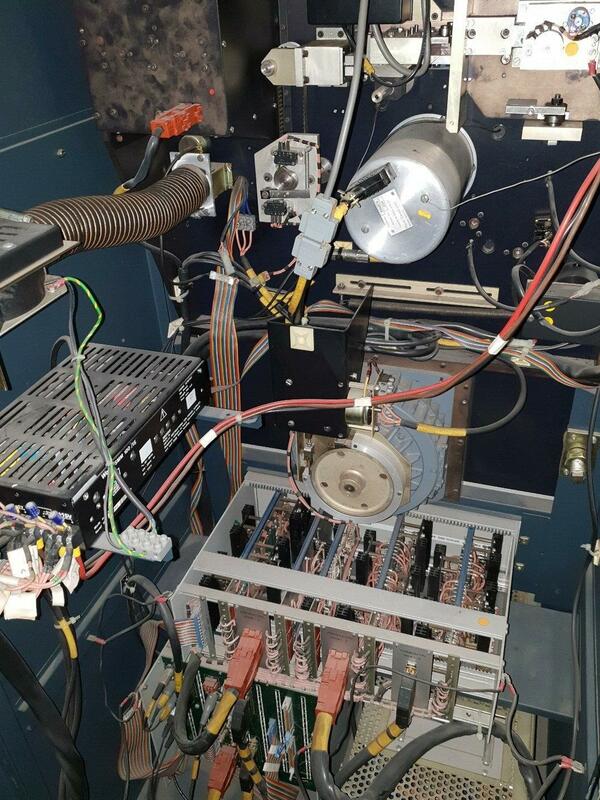 This machine was engineered with mostly off-the-shelf components and IC chips and this makes the machine repairable. The circuit boards are mostly all socketed for IC chips. YAY!!! HOORAY!!! The manufacturer socketed the IC chips. GREAT JOB!!!!! I even purchased the HOLY GRAIL of IC testers the Kitek/TESCA Universal IC Tester which tests both Linear and Digital ICs and has a very long chiplist. It is the ONLY IC tester in the world that I know of which is able to test the CA3046 IC which this Rank Cintel machine is just absolutely FULL of this IC chip. This CA3046 is a wonderful thing that Rank Cintel did - in my opinion. Inside of each IC there are 5 transistors. Thats all just 5 transistors. And rather than soldering/desoldering bad transistors- just replace the chip. Nice clean elegant solutuion. A prepackaged transistor on a chip. Nice solution except there is no easy way to test the transistors- EXCEPT that the Kitek/TESCA IC tester has that function built-in. NICE JOB!!! 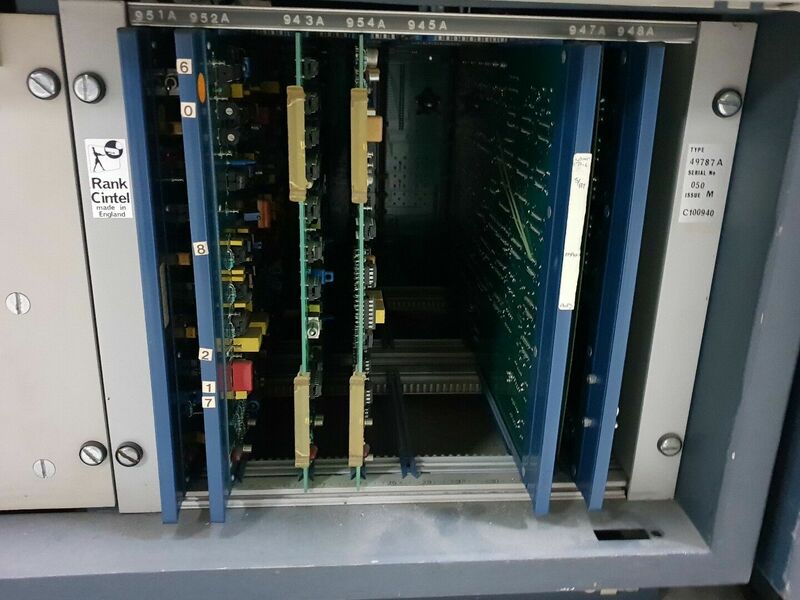 Unfortunately all of the part/boards that I received were already used to swap out or gutted from a non-working machine or a machine with issues. Unfortunately- the machines that were parted out were "fixed" by tweaking and adjusting out the bad symptom through potentiometers. These tweakers were highly paid 3rd party repair technicians who flew-in and paid thousands for their time. But no boards were changed out - instead the symptons/issues were tweaked and adjusted back to producing a good image. The seller of my parts tried to pay skilled technicians to once again get his last machine to work and they were unsuccessful in tweaking out the red image fringe- so he gutted everything. My point is that even my spare parts are someone's junk that would be discarded if I didnt purchase. My philosphy is that EVERYTHING IS FIXABLE. Rank Cintel made a socketed IC machine with almost all components commonly available off-the-shelf components. My hunch is that this machine can live again and be fully working. That is my goal for this very rare forgotten machine. I see NO OTHER mention or references online about this machine. 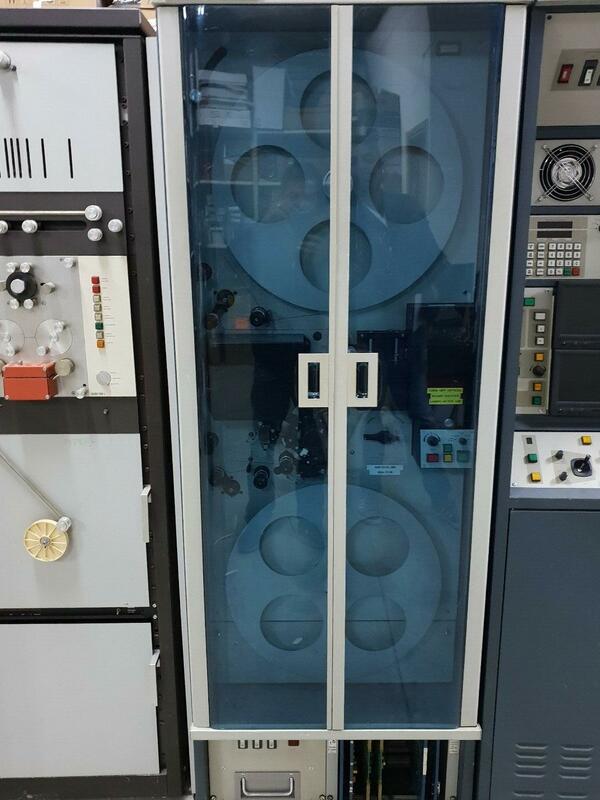 Rank Cintel is mostly known for its "flying spot scanners" but the ADS and ADS2 have linear CCDs and use an entirely solid state circuitry with no vacuum tubes. Im not knocking vacuum tubes for scanning - as I have a collection of Kodak VP-1 and VP-X flying spot scanners which work wonderfully also. Flying spot scanners use a CRT with a moving white dot which is focused on the film and then a photomultiplier tube(s) reads the color and builts the scan that way. But the ADS does not have a vaccum tube - it uses linear CCD array chips and even one for dust and scratch concealment. Its very very advanced - hence the name. Ive seen the output from the seller of parts' video demonstration which I paid for- and the image quality is Hollywood. 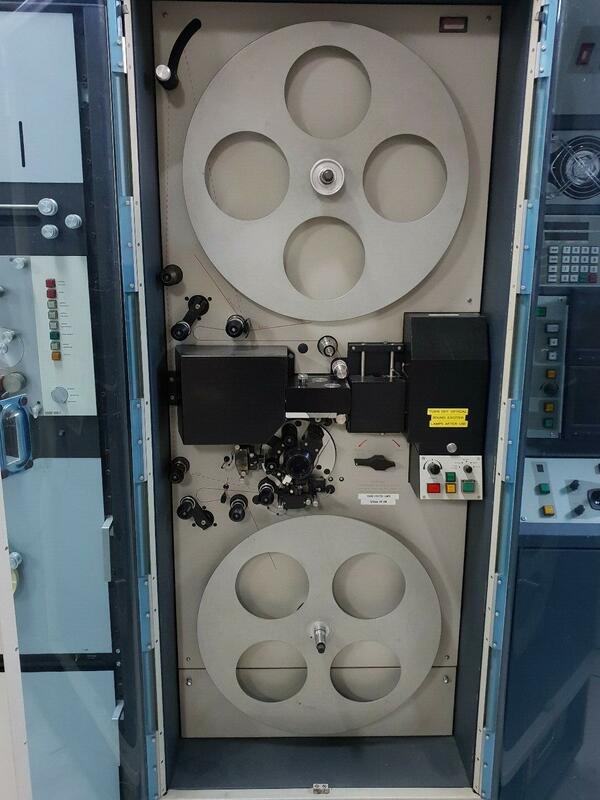 And that is the purcpose of this machine transfering Hollywood films to videotape, laserdisk, videodisc, DVD, Optical disc formats, files, etc I couldnt believe how sharp and clear the image was in those demostrations. I cant believe he scrapped that beautiful machine - how sad and picky. How terrible those technicians were that didnt have the skills to fix that machine. What a loss. For a long time I believed that I had the last machine. But very recently I saw an ad on big-auction-site for another piece of TV station equipment and off to the side in that image looked like and ADS or ADS2. The seller was located in Israel and yes they do have 1ea ADS2 in PAL format. SO I know for sure as of 2019 that there is at least one more machine in existence. I emailed the seller and he emailed me a few photos. So that makes 2 machines left - possibly the last 2 in existence.